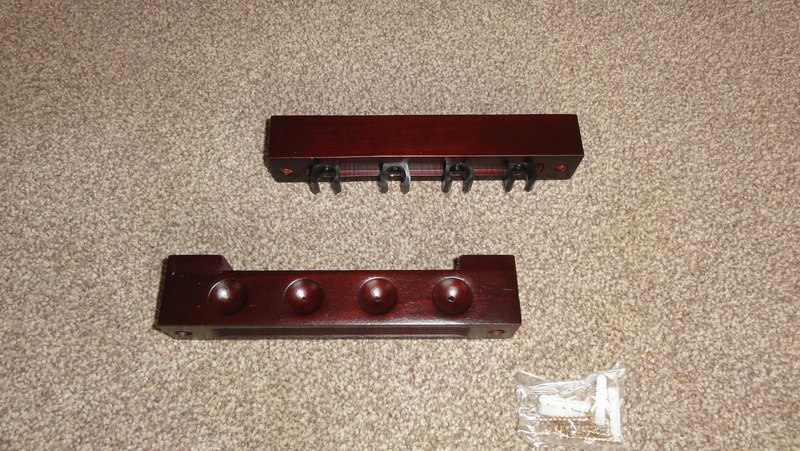 This Wall mounted cue rack holds 4 Pool or Snooker cues and is Mahogany wood colour. It includes the screws and raw plugs and is easy to fit. It is ideal for a Pool or Snooker room or even on the dining room wall. It takes up no space. Stops chalk marks on walls and is also safe storage for cues.